* J.D. Candidate, 2019, University of Richmond School of Law. B.A. & Sc., 2013, McGill University. I owe my gratitude to Professor Ann Hodges not only for her guidance in writing and researching this comment, but also for introducing me to the world of labor law with enthusiasm and insight. 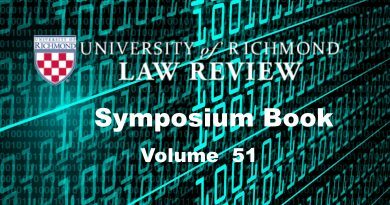 I would also like to thank the University of Richmond Law Review staff and editors for their excellent work in preparing this comment for publication.